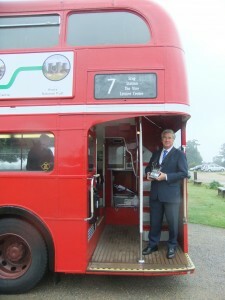 Michael has joined calls urging Kent County Council to rethink plans to cut subsidies to 78 bus services across Kent. Along with fellow Kent MPs, Michael has written to the leader of Kent County Council, Paul Carter, calling for the authority to explore alternative options for saving money. The letter also seeks specific assurances on proposed cuts affecting schoolchildren. The MPs highlight other recent cuts to routes by KCC and commercial operators, arguing that further cuts are understandably causing concern among constituents. They also point out that KCC’s plans contradict stated environmental aims, as well as the principles of many local quality bus partnerships the local authority has signed up to. The letter concludes: “In some areas the cuts to subsidized buses will cause significant disruption and place extra pressure on other services that are already crowded at peak times. “We have already seen the problems caused by commercial operators’ changes to services in some areas. “Our constituents tell us that further reductions by KCC create a real risk of people having to give up work, that elderly people will be isolated, and children will be unable to travel to school.